"Leadership that engages the mind, heart, and spirit in the moment of action." Learn to venture beyond problem solving to engage educational issues with skill and courage. The Ed.D. in Educational Leadership program at Duquesne University’s School of Education is a 3-year program designed for working professionals. Study is convenient with classes on Saturdays during the fall and spring semesters and eight full-day summer seminars are held each July. Our doctoral students are formed carefully into cohorts to establish a learning community that studies and grows together. Offered by the diverse and award winning faculty, the program is framed by the principles of the Carnegie Project on the Education Doctorate (CPED) and enriched by the contributions of leading educational practitioners in our Scholars of Practice Network. The innovative curriculum allows students to qualify for the Pennsylvania Superintendent's credentials by taking two additional courses. This program is designed to graduate highly effective educational leaders who understand how social, cultural, political, and historical forces have influenced educational leadership, educational policy, and program evaluation locally and globally. Admission to the Ed.D. Educational Leadership program is based on the academic qualification and appropriate experience of the applicant. It is made without regard to race, ethnicity, religion, disability, age, gender, or sexual orientation. A maximum of 12 students will be admitted into the July cohort. Five years of educational experience is preferred. Incomplete applications will not be considered for review by the admissions committee. All applications must be received by noon, Monday, January 22, 2020. In addition to completing the requirements of the Ed.D. in Educational Leadership Application packet listed above, all applicants must complete Duquesne University's online application. A Duquesne degree is an investment in your future and increases in value over time. Join one of the nation's top-tier universities with the best value, considering cost and academic quality, as ranked by U.S. News & World Report. By making this investment in yourself, you will receive the highest level of academic quality from our highly regarded, diverse faculty who are at the forefront of the field of education. At Duquesne, you'll become part of a community of nearly 9,500 students studying at the undergraduate, graduate, and doctoral levels. In addition to graduate tuition rates, students may also incur fees for administrative services, room, and meals, if applicable. At Duquesne University, we believe that financing your education is a partnership between the student and the university. As part of that partnership, the School of Education offers financial assistance. University-offered graduate assistantships are available for competitive applications. For graduate assistantships offered by the School of Education, please contact the Program Director or Chair of the Department for your desired program. For further assistance, please contact the Duquesne University Office of Financial Aid. For further assistance, please contact FedLoan Servicing. 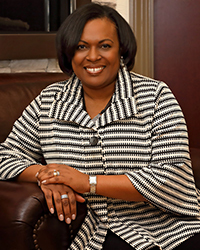 Connie Moss (Ed.D., Educational Leadership, Duquesne University, ‘96) has served as Director of the Ed.D. in Educational Leadership at Duquesne University since 2015. A former public school teacher and curriculum director (1978--1996), she authored best selling books on formative assessment that established a “Learning Target Theory of Action” to promote deep student learning and raise student achievement and educator effectiveness. Her research engages educators at the nexus of classroom assessment, educational leadership, educator impact, and social justice. She is deeply committed to programs and initiatives that foster the education, health, and safety of all children, the development, growth, and respect of women, and the eradication of violence against women and girls in all of its forms. Launcelot Brown (Ph.D, Educational Research, Evaluation, and Policy Studies, Virginia Tech University) is a Professor of Educational Research and Evaluation, and Chair of the Department of Educational Foundations and Leadership at Duquesne University. At Duquesne University he teaches courses in educational statistics. Dr. Brown is a former teacher, special educator for students with emotional and behavioral difficulties, and a former principal of the School for Deaf Children in Trinidad and Tobago. He has served on many national educational boards in Trinidad and Tobago, including the National Advisory Committee on Special Education. His research interests are in the area of school leadership, student achievement and school effectiveness, and inclusive education. In conducting his research, he utilizes both quantitative and qualitative methodologies. Dr. Brown has been invited speaker and presented his work at several international, national, and regional conferences. He served as an Associate Editor for the journal, Educational Measurement: Issues and Practice from 2006 to 2009 and is an active member of CIES and AERA where he is actively involved with the Caribbean and African Studies in Education SIG. Gretchen Givens Generett (Ph.D., Foundations of Education, University of North Carolina at Chapel) joined the faculty in 2007. Dr. Generett's work supports adult development by creating learning experiences that are generative, that serve disempowered groups, are co-created, and that are built with communities through actions that break down barriers to deeper understandings of group processes. 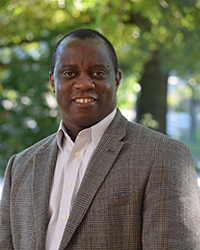 Gibbs Kanyongo (Ph.D., Educational Research and Evaluation (Statistical Analyses & Design), Ohio University, 2004) is Professor of Educational Statistics and Research and coordinator of the Program Evaluation program at Duquesne University. His research interests are in the areas of statistics education, multivariate analyses of large-scale datasets, and international mathematics education. His work has been published in several peer -reviewed journals and he has presented his work at several international, national, and regional conferences. Dr. Kanyongo served as an Associate Editor for the journal, Educational Measurement: Issues and Practice from 2006 to 2009. He is the previous chair of the Research and Methodology division of the Mid-Western Educational Research Association. He is an active member of the Southern African Association for Research in Mathematics, Science and Technology Education, American Educational Research Association and the American Evaluation Association. 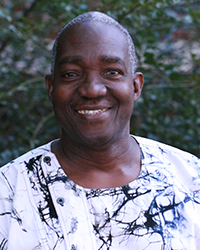 Dr. Kanyongo served as a PI and Co-PI on several grant-funded evaluation projects. Recently, he served on a panel of expert reviewers to evaluate the Center for Disease Control (CDC) grant proposals. He was also appointed to the board of Monticore Consulting Group (which is a Global Health Economics and Outcomes Research firm) as a Statistical Adviser. He teaches courses in: quantitative research methods, univariate statistics, multivariate statistics, and statistics modeling courses in the School of Education, and together with a colleague, Dr. Kanyongo was awarded the Duquesne University Creative Teaching Award in 2005. Rick McCown (Ph.D., Educational Psychology, Indiana University, 1980) is a Professor of Education and the Pierre Schouver, C.S.Sp. Endowed Chair in Mission. 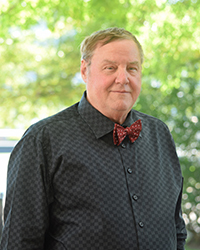 He has served as Department Chair and as Interim Dean of the School of Education. He teaches educational psychology course to undergraduates who aspire to teach and improvement inquiry to doctoral students. His research efforts focus on community-engaged educational improvement as well as the educational applications of restorative and disruptive justice. 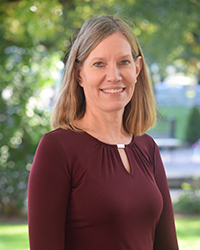 Amy Olson (Ph.D., Educational Psychology, University of Arizona, 2014) is an Assistant Professor of Educational Psychology and Classroom Assessment in the Department of Educational Foundations and Leadership at Duquesne University. Her research is primarily focused on the ways in which student, teacher, and principal self-beliefs and beliefs about academic content influence instruction and assessment decisions. Although much of her work has taken place in mathematics classrooms, she is also interested in issues of equity more broadly. Her teaching focuses on supporting future teachers to create engaging learning environments in which learning is made visible to both students and teachers. 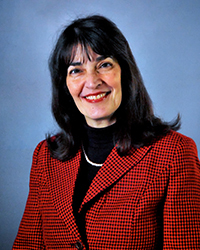 Carol Parke (Ph.D., Research Methodology, University of Pittsburgh, 1998) is an Associate Professor in the Department of Educational Foundations and Leadership. Dr. Parke's early research focused on the impact of middle school math performance assessments and using psychometric analysis to improve items and rubrics. She also examined the impact of large scale math performance assessments and their alignment with math teaching in the classroom. Recent research has focused upon math teachers’ beliefs, mindsets, and classroom practices that support equitable math instruction. 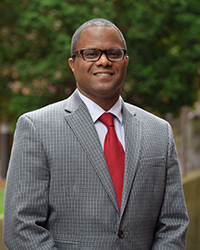 Darius Prier (Ph.D., Educational Leadership, Miami University, Oxford, 2009) is an Associate Professor for the Department of Educational Foundations and Leadership in the School of Education. In addition, he serves as the current Chair for the School of Education Faculty Council. Prier uses prophetic criticism as an intellectual and methodological practice for interrogating transdisciplinary approaches to educational leadership within their moral, political, and social justice contexts. Dr. Prier uses popular culture (e.g. media, film, news, music, memoir, sports, etc.) as a cultural site by which the cultural production, reading, and evaluation of innovative practices in educational leadership might take shape. For educational leaders, prophetic criticism challenges traditional Western-based discourses, works across and between multiple theories/disciplines/cultural sites, and advocates for cross coalition building across and between diverse communities. Deborah Scigliano (Ed.D., Educational Leadership, Duquesne University, 2000) teaches in the School of Education, Department of Foundations and Leadership. 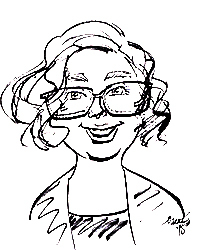 Her research interests include telementoring, online learning, self-efficacy, and peer coaching. Creating a classroom community, in face-to-face and online classes, is a priority in her teaching. 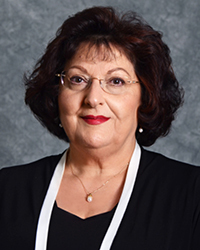 Fran Serenka (Ed.D., Educational Leadership, Duquesne University, 2009) is a leading practitioner-scholar in the areas of education leadership, administration, and supervision. She is a member of the Pennsylvania Leadership Development Center offering professional development for educational leaders in the areas of customized learning, innovation, and collaboration helping organizations implement the most effective leadership practices. Dr. Serenka has presented in a variety of local, state, and national forums on strategic planning, program funding, and creating school cultures of excellence. Education law, policy, finance, and a continuum of care and support for students are her areas of expertise. Her research interests include leadership, resiliency and social/emotional wellness for students and school communities. 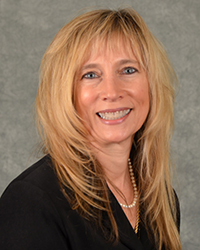 Dr. Serenka remains active in the PK-12 schools and community by teaching and supervising internships and practicum experiences for program participants in collaboration with practicing educational leaders and practitioners. She also collaborates with school and district leaders nationally to remain current in practice. 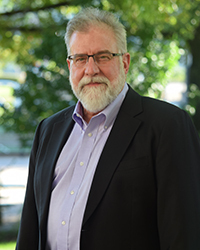 Gary Shank (Ph.D., Educational Psychology and Research Methodology, Indiana University, 1980) is a Professor in the School of Education at Duquesne University. Gary teaches Educational Psychology for undergraduates, and a variety of research methodology courses for graduate students. He has co-written two books on research design and has written two books on qualitative research, one for Prentice-Hall and the other for Cambridge University Press. He has an international reputation in semiotics, where he has written numerous papers and presentations, and is finishing an invited book for DeGruyter Mouton.